Our experience engineering personnel are experts in tool designing and injection moulding and all the related processes from the initial conception of the component right through to the manufacturing process including the prototyping tooling assembly and distribution. our aim is to provide our customers with a one stop solution which we can take the stress and strains away from the customer and end up with finished goods that are completed on time and on budget. Making use of the latest machines and custom equipment at our production site which is acknowledged to ISO9001-2008 and upto date with the latest cutting edge techniques and resources we can finish the increasing need for decreased LEAD times & at VERY competitive prices to very high rigorous quality criteria. We understand the diverse preferences you may require and can supply substitutes at every service level in order for selection of your best choice to suit spending budgets no matter what size. What precisely is Injection Moulding? The method of moulded components could be described as a manufacturing solution to developing parts by injecting substance into a shape cavity. Injection moulding can be accomplished by using a wide range of substances, such as metals, glasses, elastomers, confections, and most routinely thermoplastic as well as thermosetting polymers. Content for the device feeds into a heated barrel, mixed, and pushed into a mould cavity where by it cools and solidifies to the layout of the cavity. After a product is designed, often by an industrial designer or an engineer, moulds are made by a mould maker (or toolmaker) from metallic material, typically either aluminium or steel, and precision-machined in order to create the features of the specific piece. Mouldings are widely used for processing several different parts, from the smallest component part to complete body panels of automobiles. Parts that are ready to be created have to be thoroughly designed to enhance the moulding process; the materials used for the part, the required shape and characteristics of the part, the substance of the mold, and the qualities of the equipment has got to be taken into account throughout the whole process. The flexibility of the moulding is triggered by the range of styling criteria and probabilities. 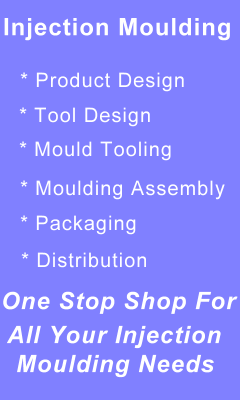 If you're searching for a business offering quality and precision manufacturing within the area of plastic injection moulding, International Mould Tools is available to you if you are in need of producing any sort of plastic part design. Being one of the main companies in the United kingdom marketplace for designs for tools for all sorts of products, we've developed our experience of the look and style, the creation process , innovation, manufacturing and delivery of plastic injection moulded tools for various applications. 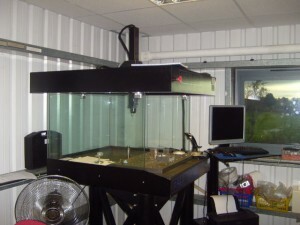 Our precision manufactured parts and resources are utilised throughout a number of niche industries. Our efforts together within the area of initial designing from the start as well as in the manufacturing stage would be the guarantee of quality injection moulding, so we can provide you quality within the preparation of CAD sketches, research and design, tooling, etc - all of your needs for plastic injection moulding. Using our practical experience we can cope with all volumes, dimensions and shapes. 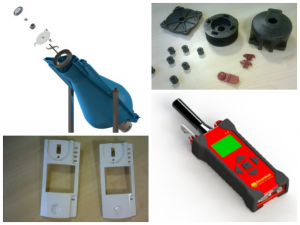 IMT are specialists in making moulded tool making and have specialist designers who are experts in plastic and metal moulding. From initial concept to finished components so you can contact us today via e mail or just pick up the phone and we can discuss your requirements. Description: Our experience engineering personnel are experts in tool designing and injection moulding and all the related processes from the initial conception of the component right through to the manufacturing process including the prototyping tooling assembly and distribution. our aim is to provide our customers with a one stop solution which we can take the stress and strains away from the customer and end up with finished goods that are completed on time and on budget.